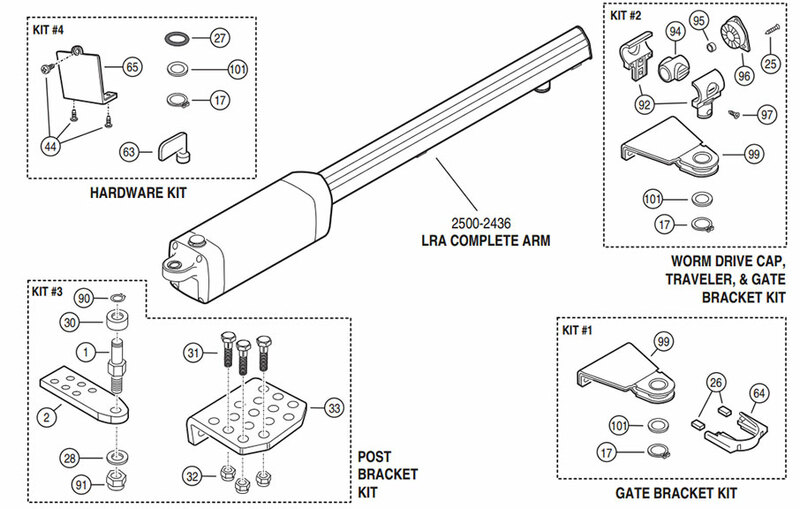 Below is a diagram of replacement parts available for the LRA swing gate operator from Linear, followed by links to each parts product page. For help purchasing or for ordering over the phone, call us toll free at (800) 878-7829. The following are additional available parts, but are not in the parts diagram above.